But I can’t. Not even for you, Piper. We’ll both just have to remember today when you were a ballerina and hold on tight for the ride. White knuckles and all. This entry was posted in Daily Dharma, Gratitude and tagged ballerina, hold on for the ride, i'll stop the world and melt with you, kids grow up, parenting, piperism, slowing down time, stopping time, white knuckles by melissa.scholes.young. Bookmark the permalink. What a treasure Piper is! I have to admit that I have a new appreciation for your blog now that I have my own little girl. Sometimes I also want to just stop time. It’s pretty hard to resist a tutu. I have a series of photos of Sissy when she was your baby’s age in which I dressed her in every outfit I’d received at the baby shower. It must have taken me hours. She was happy the whole time. She even fell asleep halfway through her photo shoot. Of course there was a tutu also. Oh sniff! I love this! Same way I feel about my kids. The trenches seem so hard and so precious these days. I spend too much time trying to hurry them up and then I stop for a minute and they take my breath away. Oh, Melissa. This brought me to tears! I already feel like my 3 month old son is growing up too fast; I can only imagine how I’ll feel in a few years. I enjoy so much reading all about Piper’s adventures! Motherhood is such a wild ride, isn’t, Melissa? I’m so glad you’ve joined the club. It’s so fun to watch these little people become big people. We celebrated Isa’s 10th birthday this week. I know! How is that possible? And Piper is the kid we didn’t know we needed. They both bring us such joy. Pipper looks sooooooooooo cute in that tutu! 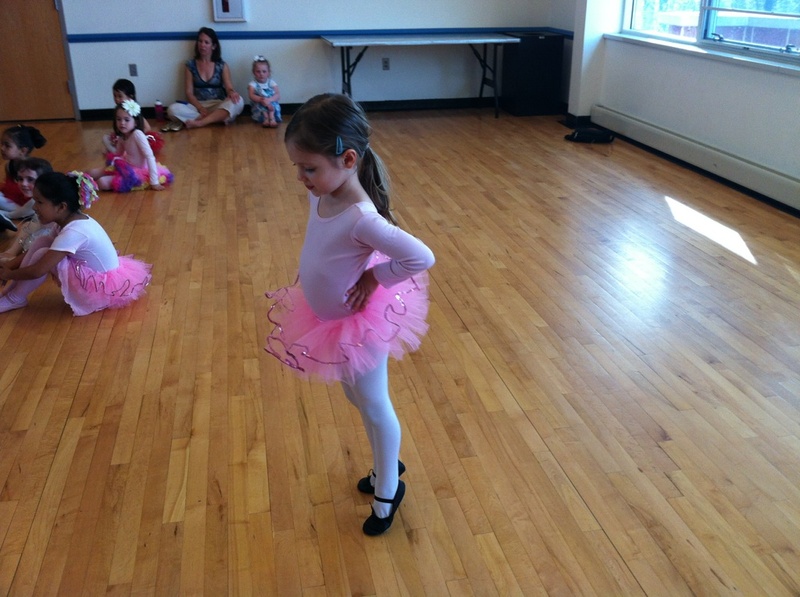 She even looks cuter than me back then when I was dancing in a tutu! P.S Did Piper ever wear a tutu to ballet class?